And the ad banner says: "Life is searching". So true. Whoohoo! I was waiting for the right moment when the counter would jump across the 1,000,000 mark. OK, I missed it. Never mind. So, what’s next? We have some plans to integrate the dictionary into the upcoming activities. 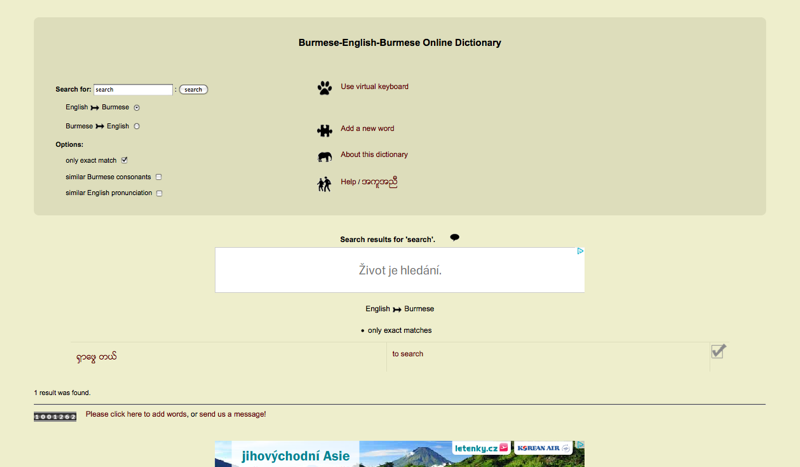 Until then, enjoy it in its unspoiled beauty at www.burmese-dictionary.org. This entry was posted in buried under work, alive and tagged burmese, dictionary, Internet on December 14, 2011 by Christoph Amthor.